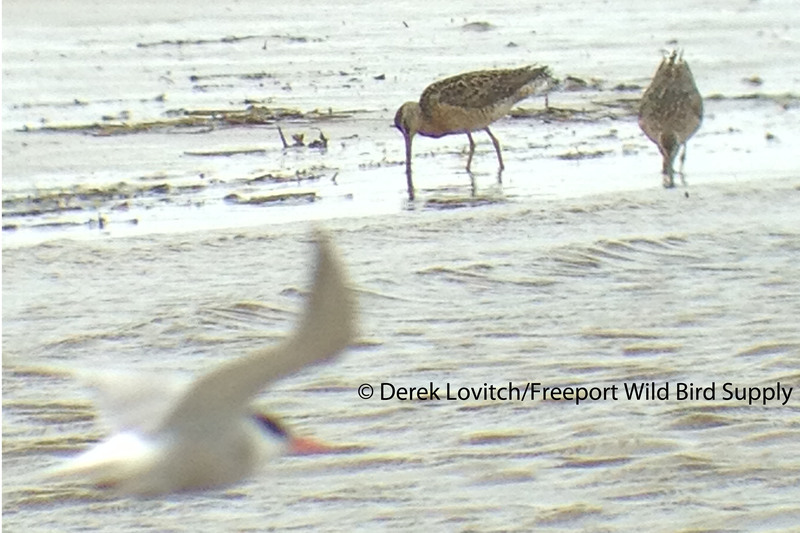 “Shorebird Season” is in full swing, and the greater Biddeford Pool area is one of the best places in the state to observe and study shorebirds. Although numbers usually pale in comparison to the Lubec Flats and Scarborough Marsh, and diversity usually lags well behind the latter as well, the area often provides some of the best opportunities to study shorebirds, between Ocean Avenue and Biddeford Pool beach on the high tide, and Hill’s Beach at low tide. At dead low, Biddeford Pool Beach was shorebird-free (which is often the case, as birds take advantage of the ephemeral mud and sand flats of The Pool and Hill’s Beach), but as we birded the neighborhood and Ocean Avenue, we picked up a few birds of note, led by 2 breeding-plumaged Red-necked Grebes. Three Black-crowned Night-Herons and a few migrant passerines such as two Eastern Kingbirds and an Indigo Bunting were also noted. As the tide began to turn, we headed over to Hill’s Beach, and hit it perfectly! Here, the rapidly approaching water pushed birds towards us, and concentrated them in the highest spots for last-minute feeding. We were able to carefully and critically sort through each individual, checking for rarities and studying variation. 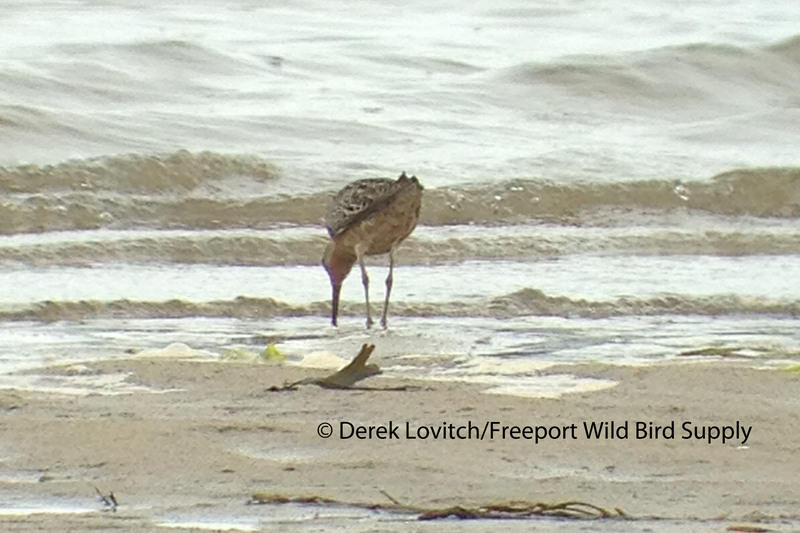 Our effort turned up a few “good” birds, led by a trio of “Hendersonii” Short-billed Dowitchers (the prairie subspecies), a fairly-rare-but-regular stray to Maine. The third bird we found, was the brightest of the lot, and was very obvious with its rufous coloration throughout its underparts. The other two were quite a bit paler, so were a little tougher to tease out. I managed a crummy photo of one of them. So if the shorebird show was quite good, the tern show was simply great. At least a hundred Common Terns, including many begging juveniles were present, along with at least 30 Roseate Terns. 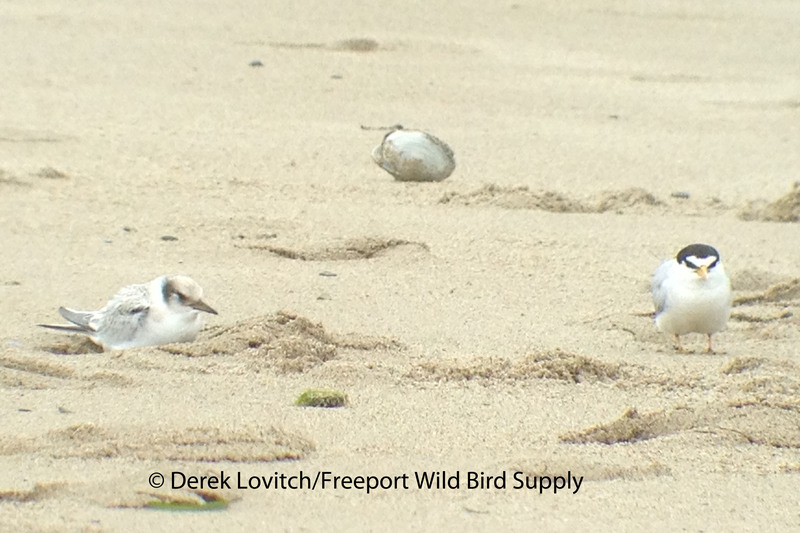 A few Least Terns also joined the fray, including this adult standing watch on its fledgling. 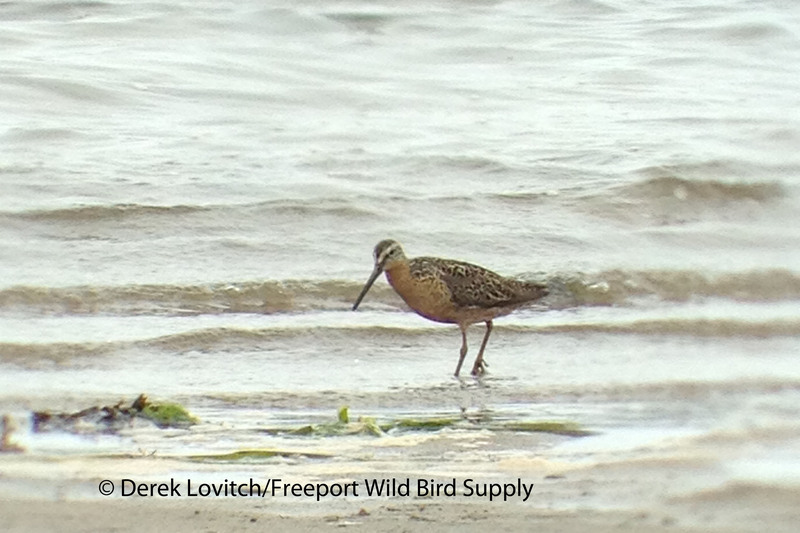 This entry was posted in Birding in Maine and tagged "Hendersonii" Short-billed Dowitcher, Biddeford Pool, Birding, Hill's Beach, Maine, Red Knot, Roseate Tern, shorebirds, Short-billed Dowitcher, Stilt Sandpiper, terns on July 28, 2013 by Derek.